The biggest disappointment of iOS gaming for people like me is that it very rarely appeals to the core gamer, only the casual. Games like Angry Birds and Cut the Rope are charming and addictive but often become very repetitive and shallow. Gamevil, developers of the Zenonia series, set out to change this. 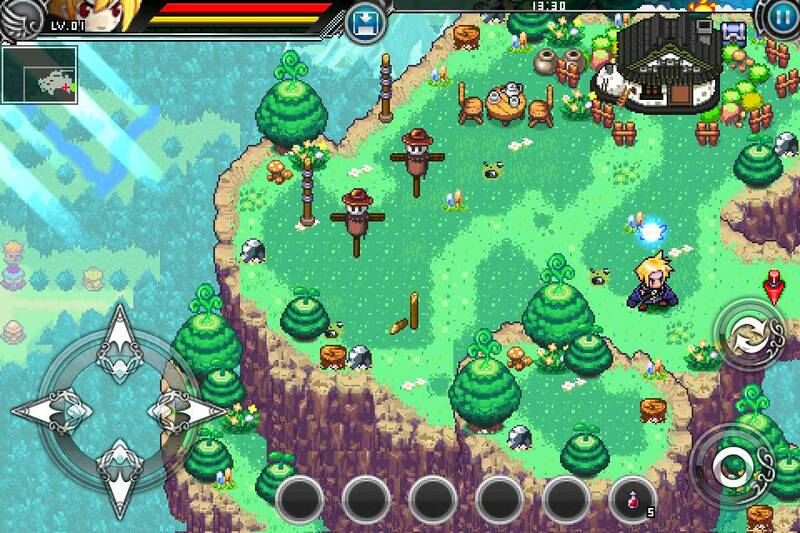 Promising a beautiful sprite-based action RPG, Zenonia 3 only teases us of what is to come. Like its predecessors, Zenonia 3's combat is simple yet tight. You can pull off combos by tapping a single button as well as cast spells. Regular attacks can become quite tedious as it is a bit too simple, but as soon as you start leveling up and learning new spells combat will become much more interesting. The problem is, it took me about 4-5 hours to really start having various spells at my disposal. As a result, the beginning of Zenonia 3 is extremely slow and feels even slower due to far too many pointless cut-scenes filled with dialogue trying and failing to be funny. After you finally get through the first couple main quests the game starts to get very interesting. You will level up a lot and raising your stats makes a noticeable difference in the abilities of your character. There are four different stats that can be raised with points you earn as you level up as well as a skill tree that can be filled out however you see fit. All spells have a purpose and are satisfying to use, such as cloning yourself or rushing towards a group of enemies like a bullet with a shining blue sword. The stronger you become the better loot you find and the better items you can buy, but your enemies do not become stronger. Enemies only increase in strength when you enter a new area, but each area of the game has its own level cap for enemies. In a grind-heavy RPG like this one, this is a good feature because it prevents you from leveling up too fast from just exploring the world. If you are an experienced gamer the game still will never prove to be that much of a challenge, but at least it prevents itself from being another super easy mobile game. If you do get bored of hack n' slashing enemies you can go hack n' slash some more enemies in the colosseum, or maybe you can go hack n' slash more enemies for side quests. Ok, Zenonia 3 definitely lacks in variety and as a result you can never quite escape the feeling that you are playing a mobile game. As much as Zenonia 3 strives to be a real RPG with depth, it just falls short in almost every way. There are side quests in the game, but these are simply level boosting and time consuming excuses to kill another horde of enemies. Side quests are good for leveling up but nothing else. You will rarely be rewarded with anything unique or interesting and they never tie into the main story. Main quests can range from anywhere between five minutes long and two hours long with the latter often ending in a rather easy boss fight. There is a ton of loot and money to be earned throughout the game which keeps things addictive. What it lacks in gameplay it makes up for in visuals though. Colorful, bright, and fully animated sprites are reminders of the 32-bit era that we all love. You will travel to many different areas throughout the game and they all have a unique look to them. However, because the game is composed of different areas, it can feel restrictive at times. You can not revisit old areas after you leave them and many paths in the areas are blocked off until certain points in the story. You are never confined to too small of a map though and you will often be willing to forget the old areas as each new area increases in excitement. Still, the lack of an open world continues to push Zenonia 3 further into the category of pure action rather than action RPG. 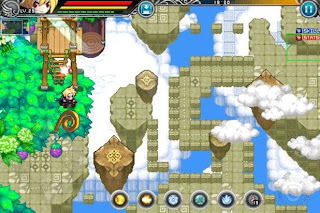 Questionable and restrictive decisions hold Zenonia 3 back from being a great action RPG, but it is still a good one. Especially considering its competition on iOS, Zenonia 3 is definitely aimed towards gamers wanting a little more game in their mobile games. 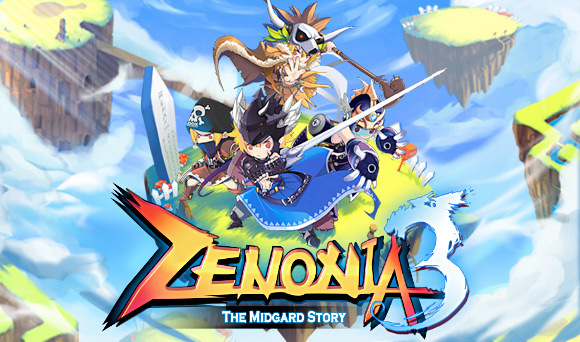 Core gamers will appreciate it and casual gamers will still find it accessible, it is just a shame that Zenonia 3 did not abandon attempts to appeal to the casual market in favor of being a full RPG experience.